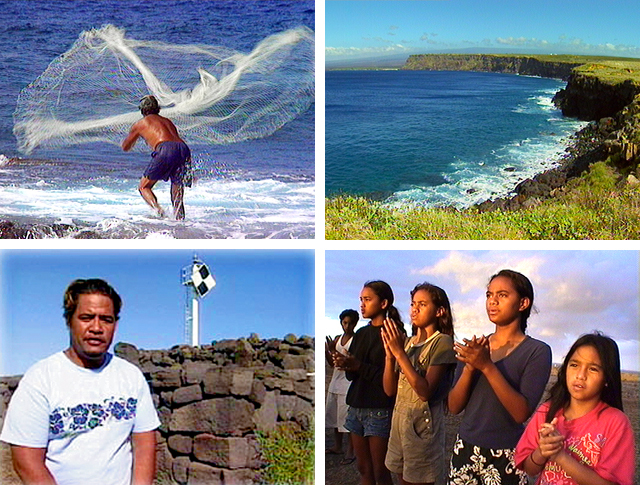 Selected segments from a historic 6-hour educational television presentation on Hawaiian sovereignty, broadcast on KFVE, Dec. 19, 1999 and streamed to the world over the Internet. Co-produced by Aloha First and Nā Maka o ka ‘Āina, Aloha Quest was hosted by Ed Kaahea, Iaukea Bright and Kaiulani Edens. 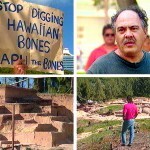 Na Wai E Ho‘ōla I Nā Iwi – Who Will Save the Bones? 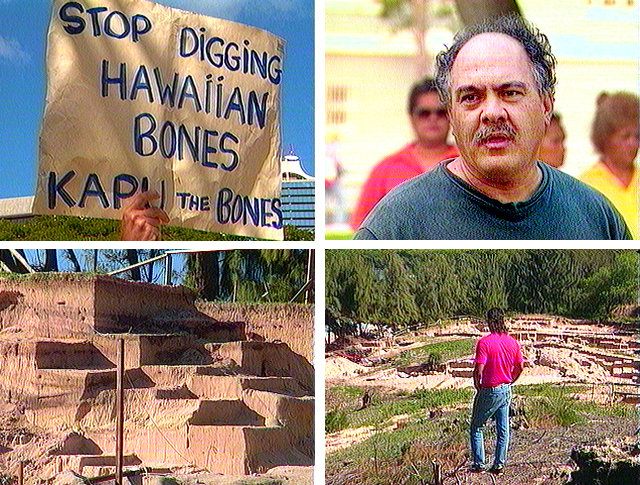 From an ancient burial site at Honokahua, Maui, to the streets of Honolulu, the issue of protecting ancestral remains from development is brought passionately to the public’s attention by Hawaiian descendants. 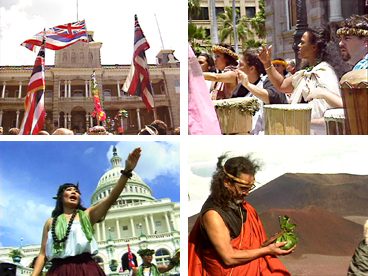 Selected segments from a historic six-hour educational television presentation on Hawaiian sovereignty, broadcast on KFVE, Dec. 19, 1999 and streamed to the world over the Internet. Co-produced by Aloha First and Nā Maka o ka ‘Āina. 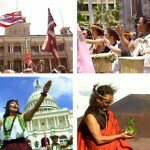 Segments focus on historical and contemporary issues surrounding Hawaiian sovereignty, education and spirituality. 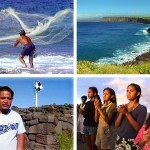 The story of a Hawaiian family who made a home at Ka Lae (South Point), a remote and rugged area at the southernmost tip of the island of Hawai‘i. For eleven years, under threat of eviction by the Department of Hawaiian Home Lands, the Viernes family remained committed to caring for and preserving the sacred and historic sites of Ka Kae. The story of a Hawaiian family who made a home at Ka Lae (South Point), a remote and rugged area at the southernmost tip of the island of Hawai‘i.